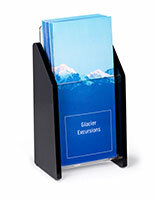 This tiered information holder for a business card or trifold collection is an office must-have in any professional setting. 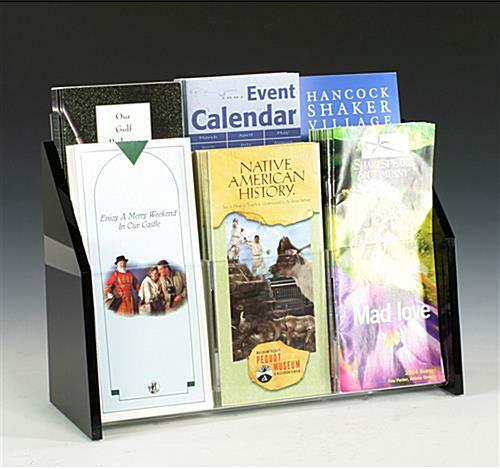 This periodical stand has six compartments for the storage of printed materials; cross-sell companies, or promote your own services or wares using this low-profile unit. 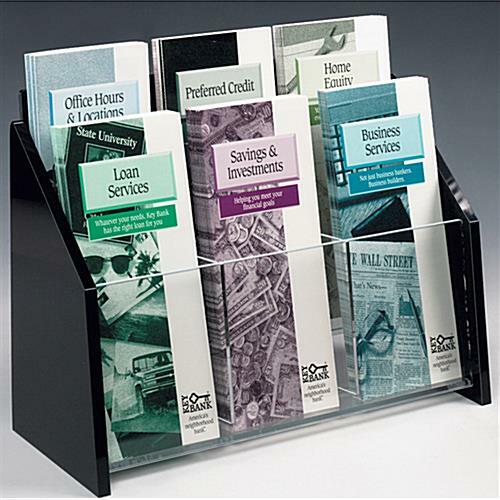 This tiered information holder, such as a pamphlets display, has a small footprint to keep work surfaces free of clutter. 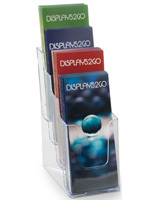 This leaflet organizer that is a plastic store fixtures system is perfect for a desktop or counter use in a hospital, real estate agency, law firm, salon, or restaurant. 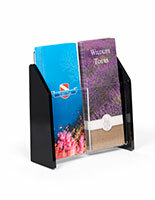 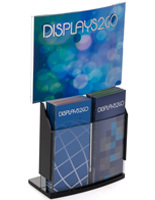 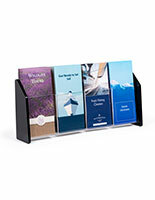 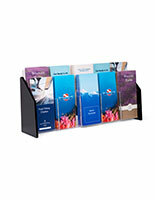 Buy this information holder that is a publication display to save on counter space! 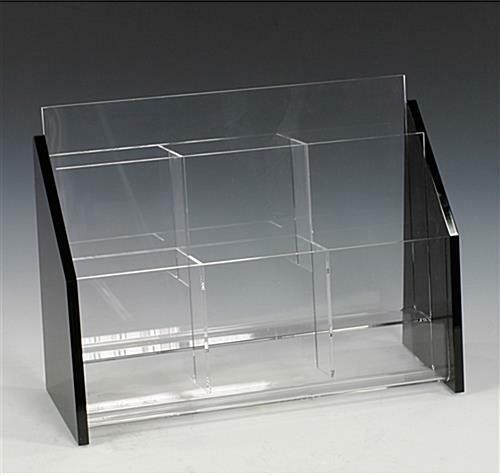 13.4" x 14.5" x 5.0"